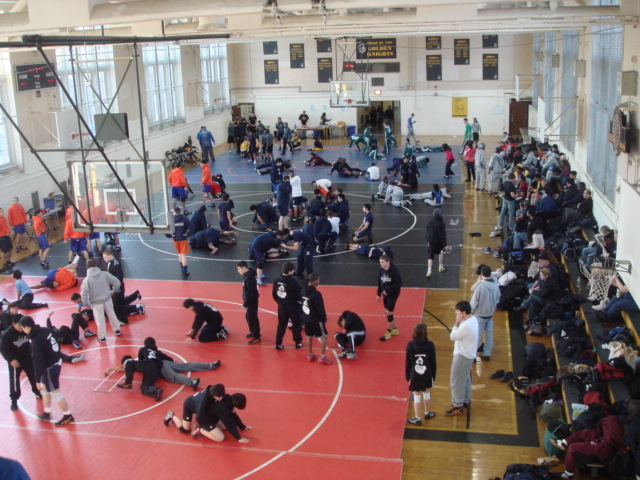 On Saturday, December 3rd, the James Madison wrestling team hosted a youth wrestling jamboree for almost 200 young wrestlers who competed in a full day of wrestling in James Madison high school’s main gym. 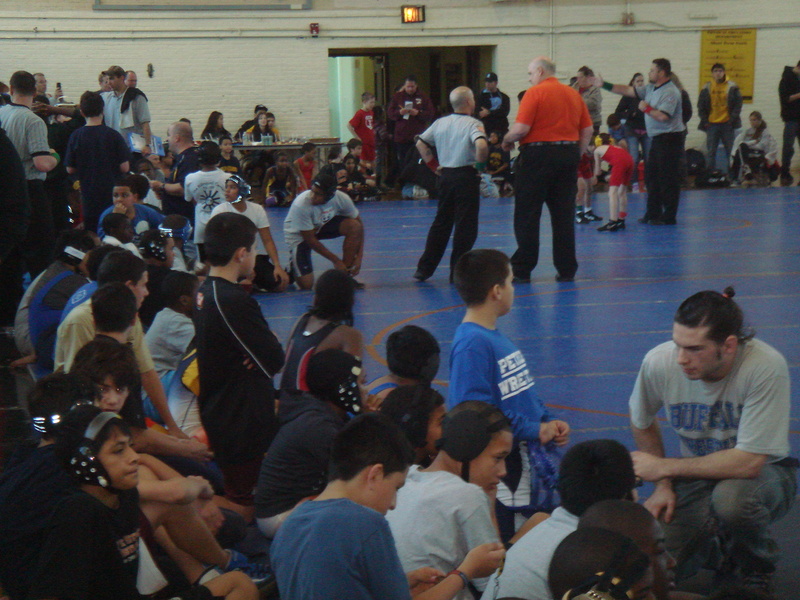 In a departure from previous years, Beat the Streets has adopted this new “jamboree” format for the Junior League’s primary competition schedule. 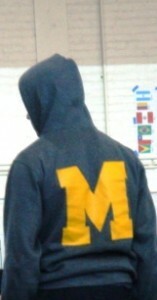 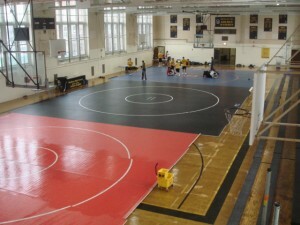 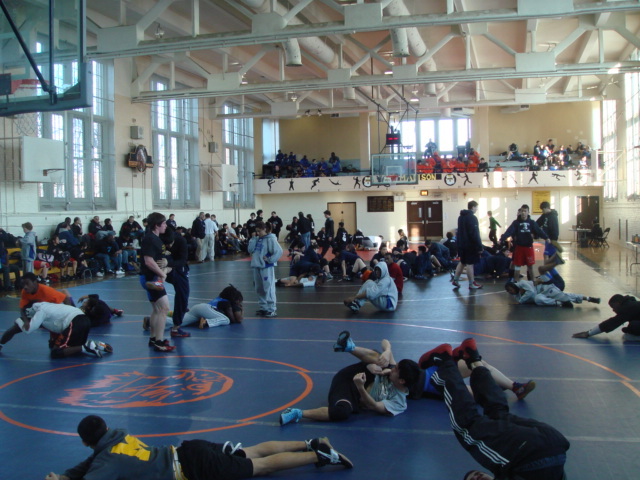 Since many dual meets at this level are rife with forfeits, the jamboree format allows for all wrestlers of all sizes to compete. 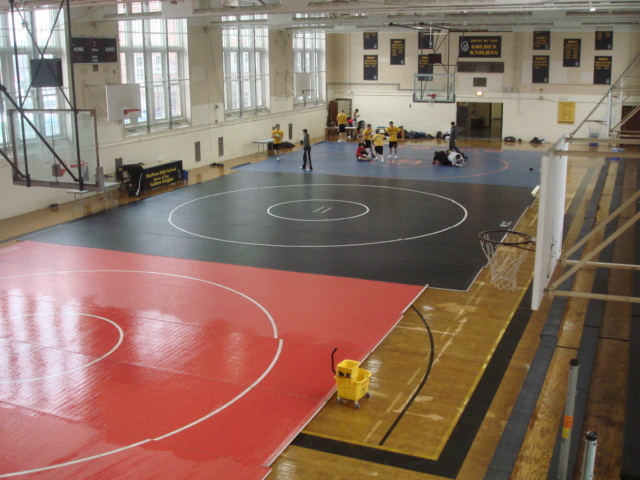 Such an event — with 30 gyms and 3 mats — offers a far greater probability that every wrestler will face not only another competitor of his or her size, but one who has a similar experience and skill levels, as well. 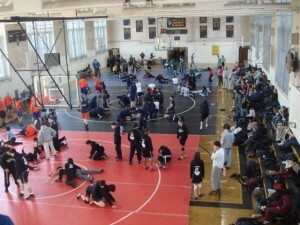 With no forfeits, these events move very quickly: everyone is guaranteed at least one match, and, if time permits, additional matches can be accommodated, with a variety of opponents to boot. 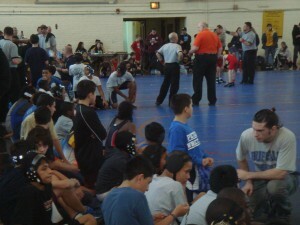 The day was a tremendous success for Madison wrestling, Beat the Streets NYC, and most especially, for the young wrestlers!